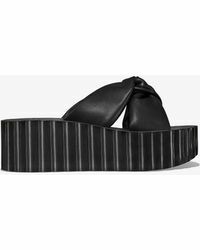 Popular among bloggers, editors, socialites, stylish moms and industry fashionistas the Tory Burch wedge is undeniably chic and modern, making it the ideal go-to shoe. 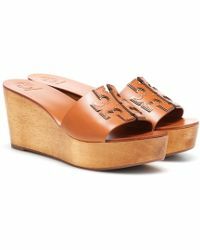 Mixing the signature vibes of classic Americana with the laid-back preppy lifestyle, Tory Burch offers customers a wide selection of textures, fabrics and styles to pick from when searching for that perfect wedge. 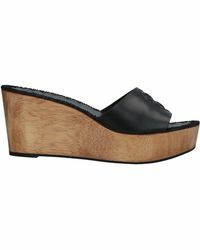 Using materials such as leather, wood and cork, each and every woman can find the desired wedge for any occasion no matter the season. 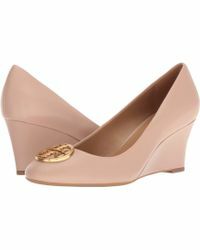 Comfortable, sophisticated and always noticeable, the Tory Burch wedge is designed to make women shine everywhere they go.